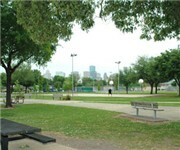 It first glance, Houston’s Emancipation Park doesn’t seem different from any other park. But its history makes the park’s value immeasurable. How Would You Rate Emancipation Park?